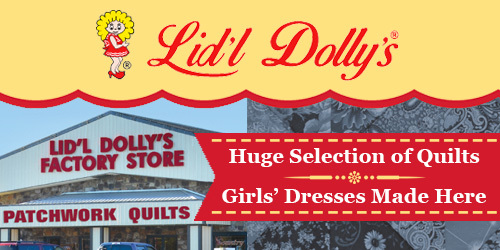 In the heart of Pigeon Forge, Tennessee, Lid’l Dolly’s Factory Store has been charming visitors with our handcrafted southern belle girls’ dresses and enormous inventory of beautiful quilts for more than 25 years. Throughout that entire time, our large factory store has been in the same location, and we’ve developed a loyal following through the years. 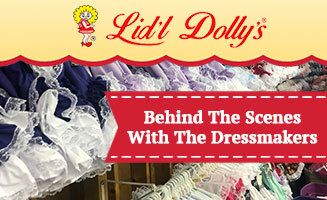 For many folks, Lid’l Dolly’s Factory Store is right up there with Dollywood and other Pigeon Forge attractions. Thanks to our convenient online store, you don’t have to wait until your next vacation to shop our massive inventory of quilts, throws and dresses. Everything’s right here, and we’ll have your order on its way to you in no time flat. 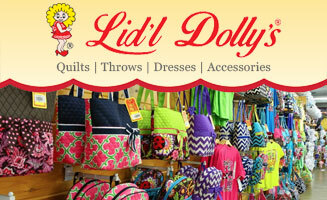 Lid’l Dolly’s Factory Store is a Pigeon Forge Tradition. Read more about the long-established Factory Store is well-known for its handcrafted heirloom dresses: A Pigeon Forge Tradition: Lid’l Dolly’s Factory Store.